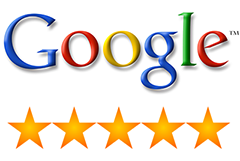 Jim Parrini Gives The Tutoring Solution 5 Stars! Jim Parrini’s daughter, Kylie, has been receiving tutoring with us since October 2014. We have been helping Kylie with Algebra II. Kylie and her family have been a pleasure to work with. In March 2015, we selected Kylie as our Student of the Month. We are excited to continue working with Kylie and seeing her achieve all her goals. We provide tutoring in Chino, Corona, Ontario, Eastvale, Chino Hills, Mira Loma, Alta Loma, Norco, Rancho Cucamonga and all the surrounding cities. We have students from Sky Country Elementary, Oxford Prepatory Academy, Townsend Junior High School, Roosevelt High School, Alta Loma High School, Norco High School, Centennial High School, Chino Hills High School, Ontario Christian High School and Ayala High School. If your child needs help in improving his or her grades, do not hesitate to contact us today. We can help your child grow into a confident and motivated learner. We provide tutoring in Southern California in all subjects and grade levels. Ruth-Anne Marinello Parrini Recommends The Tutoring Solution Sola Kimo Gives The Tutoring Solution 5 Stars!